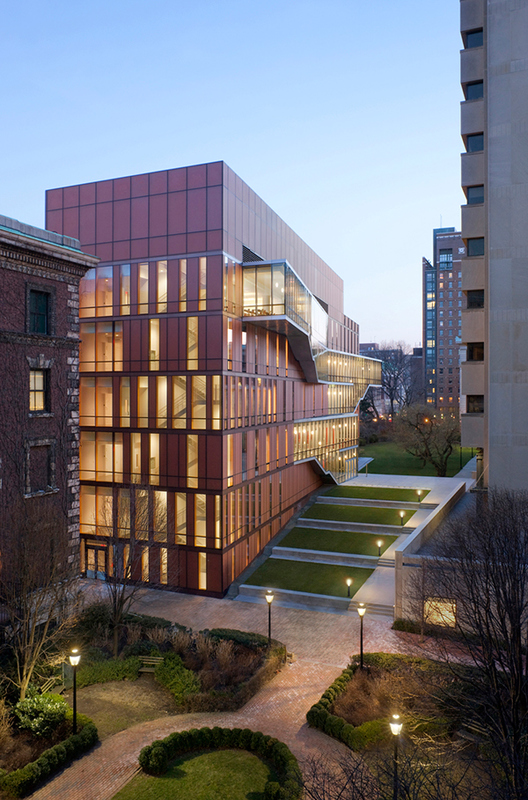 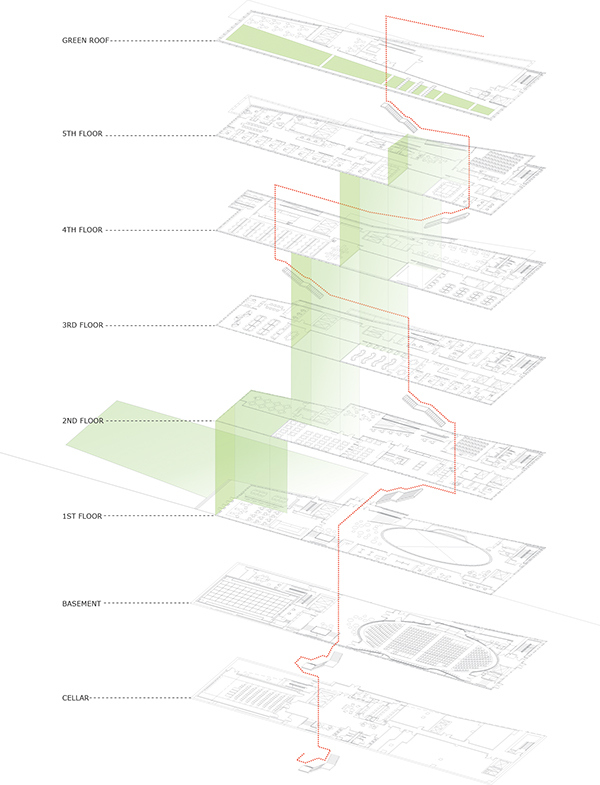 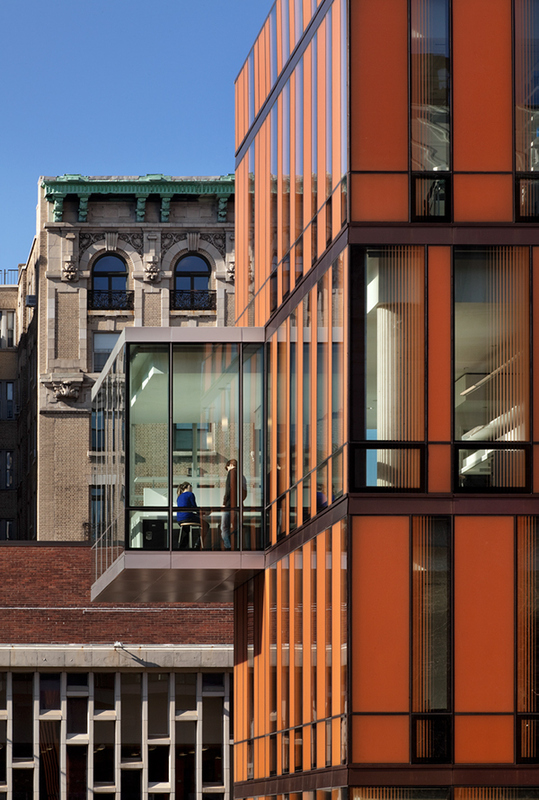 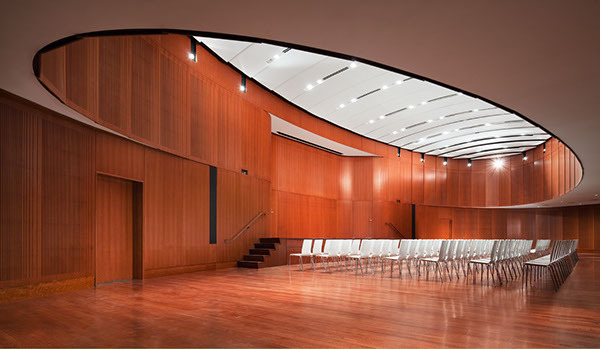 Winner of a national design competition, a National AIA Award, and a Progressive Architecture Award, the Diana Center establishes a new nexus for social, cultural, and intellectual life at Barnard College. 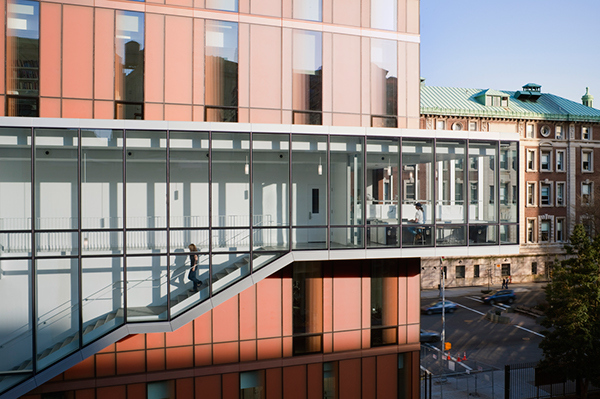 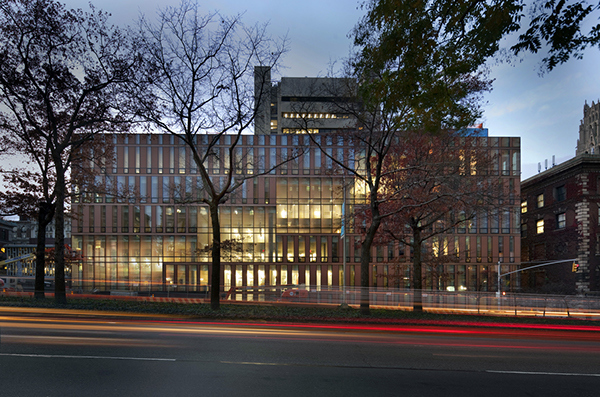 Located on Broadway, the multi-use arts center unites landscape and architecture, interior and exterior in a seven-story building with ascending double-height glass atria and an unfolded glazed staircase that bring in natural light and eliminate visual boundaries between the College and the city. 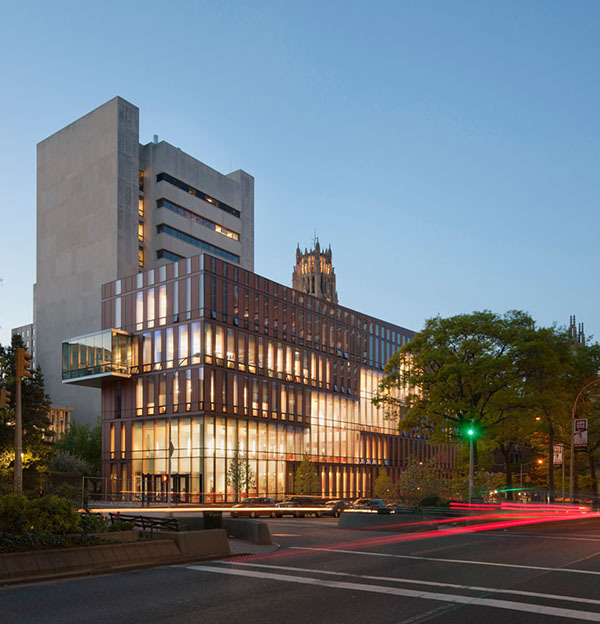 Carving a diagonal void through the building, the slipped atria create views through diverse program spaces and visually connect Lehman Lawn to the upper floors of the building and the green roof. 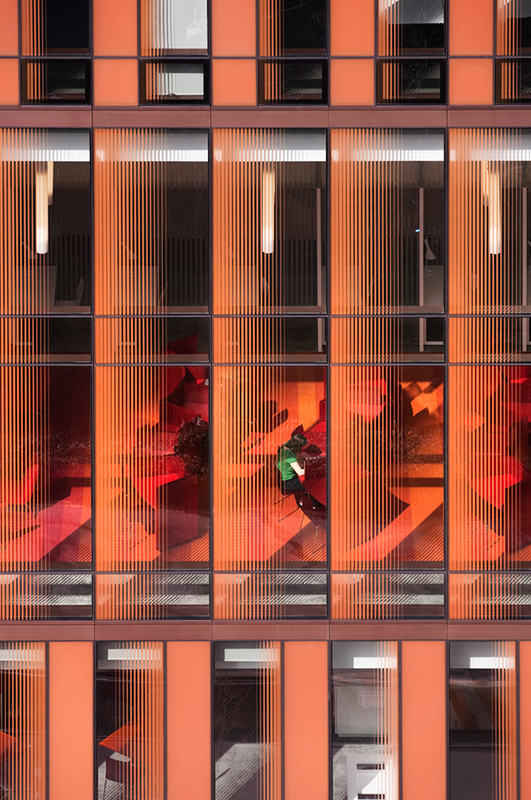 The facade - composed of 1,154 clear and color integral glass panels - translates the brick and terra cotta of the surrounding neighborhood into a luminous, energy-efficient exterior. 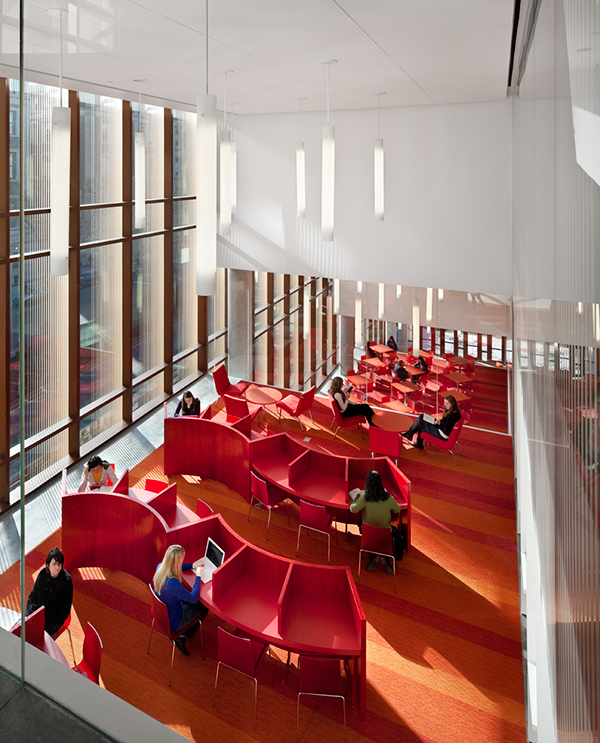 Envisioned as an innovative center for campus life, the 98,000 square foot building features dynamic layering of previously separate functions. 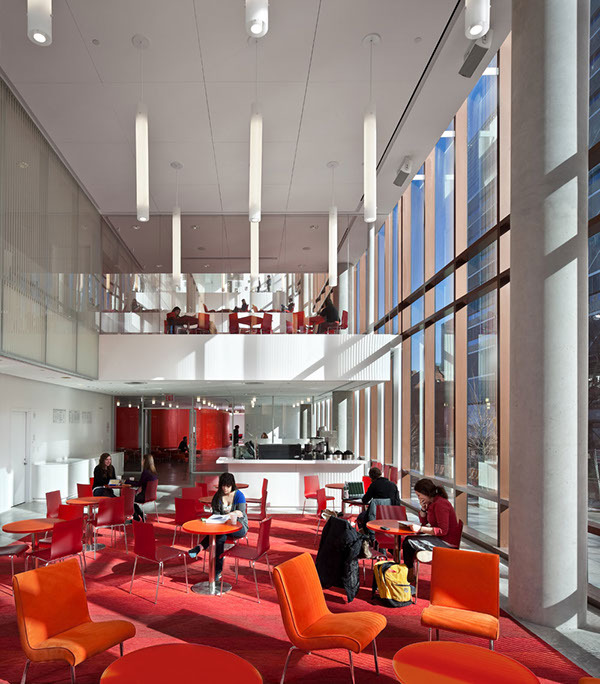 The program includes architecture and painting studios, a 500-seat performance space, black box theatre, cafe, dining room, reading room, classrooms, and exhibition galleries.